The long-awaited Brexit negotiations can finally commence between the UK and EU. Although much has been written about the activities here in the UK as the DexEU team gets up and running – despite the staff shortage recently reported – only limited comment has been focused on the EU’s Brexit Task Force. This week, both the President of the European Commission, Jean Claude Juncker, and the Chief Negotiator, Michel Barnier, have given open interviews on the upcoming negotiations. We outline the key players within the EU negotiation team and inform you of the most important dates to keep in your diary. BBC Europe Editor: “That surely is going to be the elephant in the room though isn’t it? The fact that Theresa May is not there…? The UK will no doubt seek to make quick”wins” to showcase its successful negotiating tactics to the UK public. The EU however will play the long game, discussing everything, whilst agreeing nothing. 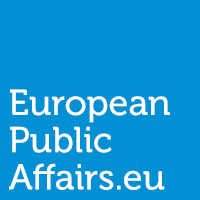 All EU accession parameters, according to the policy chapters laid out in the acquis communautaire, which have been utilised for accession countries since 2004 (35 chapters in total) will be gone through, negotiated, and checked off – in reverse. A chapter will only be officially closed at the meeting of the European Council attended by the Heads of State of the EU-27. It also must be noted that under the Lisbon Treaty, the UK is triggering Article 50 – which solely focuses on a Member State leaving the EU. Any talk of negotiating free trade agreements within Article 50 will fall foul of EU law. Trade Agreements must be triggered through Article 218. This essentially means that any and all trade negotiations must be carried out by another team and ratified separately to Article 50 negotiations. The Brexit Task Force led by Barnier have no directive or authority to conduct trade negotiations. The Working Group will be created following the Council meeting on 29th April. Respective representatives will report on the status and negotiating pinch points to their groups. Feedback on each chapter will be compiled by the Working Group and laid out for the General Affairs Committee at their monthly meeting. The Working Group will have a dedicated Chair (yet to be appointed). Once appointed, meeting dates will be confirmed. The Chair of the Working Group will manage all negotiation submissions and report to the General Affairs Council. This is a meeting for all EU Ministers across the EU-27. Each representative will then update domestic officials, with any disagreements or challenges fed up to the European Council meeting. Its next meetings are: 25 April 2017; 16 May 2017; and 20 June 2017. Following the General Affairs Council, a representative from the relevant Rotating Presidency (currently Malta) will report and update the European Parliament on the status of negotiations. The European Parliament President, Antonio Tajani, will then be invited to address the next European Council meeting and give his viewpoint on discussions. For the next six months, both German and French elections have the possibility of shaking up Barnier’s “ordered and transparent” negotiating strategy. This means even the quickest of “quick wins” is unlikely to emerge until November at the earliest when German elections conclude. Final ratification will also need to be agreed upon by all EU-27 independently, as well as the European Parliament. This in effect means that the 29th March 2019 is a fantasy deadline, the actual package and final deal will need to be agree upon by October/November 2018 to allow at least 5 months of negotiation and ratification across all member states and the European Parliament. The European Parliament possess the ability to be a thorn in the UK strategy as they seek to “defend” the European project and its values. It will be a prime opportunity for MEPs to speak out and campaign on driving a hard Brexit bargain as the European Parliament elections are due to be held in May 2019. The Brexit Task Force will bear the brunt of negotiations. The Task Force comprises of 29 individuals whose job it will be to manage, liaise, and negotiate across all stakeholders and parties over the next 24 months. An organogram of their team can be viewed here. A version of this article was first published by Atlas Partners on the 28 March 2017. PreviousEU Women’s empowerment policy: In money we trust? NextWhat we celebrate with the 60th anniversary of the EU?